Technology has been woven into disability, and the lives of people with disabilities, in intimate, public, and far-reaching respects. Yet the ways of imagining, framing, shaping, and assembling technology and society remain far too restricted, exclusionary, and oppressive. Yet, despite “design thinking”, “universal” and “inclusive” design, “digital disruption”, “innnovation”, “hack-a-thons”, and other approaches, there is a long way to go, before we have fair, democratic, enabling, and transformative technology. Hence this manifesto for technology, to underpin cultural futures as if disability, in all its diversity and implications matter. Railing against technology as some kind of ‘manifest destiny’ for disability, I instead articulate potential ways that critical disability studies, crossed with science and technology studies, and cultural and media studies, can help us reimagine, remake, and productively confront technology. "Frugal innovation are new products for Base Of Pyramid markets with optimised core functionalities at an affordable price-point, embracing usability and durability. Frugal products offer alternative solutions to incompatible existing products for low-income’s needs. BOP markets are the low-income consumers in developing countries earning 8 USD or less a day. They live in a resource-constrained environment and geography, which affect their ability to respond to basic needs through products such as healthcare, food, housing, and energy." The Australian Human Rights Commission is undertaking a major project on the relationship between human rights and technology. The Project will develop innovative ways of ensuring the rapid rise of new technology protects and promotes human rights. Edward Santow, the Human Rights Commissioner, is leading the Project. Information has increasingly become the new lifeblood of society, its organisations and its peoples. The dawn of the Information Society offers huge potential benefits for us all. Our dependence on information grows daily with the advance of information and communication technologies (ICT) and its global application. ICT now influences the way we live, work, socialise, learn, interact, and relax. We expect the information on which we rely to be correct. The integrity of such information relies upon the development and operation of computer based information systems. Those who undertake the planning, development and operation of these information systems have obligations to assure information integrity and overall contribute to the public good (Rogerson, 2001). Research and innovation in emerging technologies can have great benefits but also raise ethical and social concerns. The current discourse on Responsible Research and Innovation (RRI) is a novel attempt to come to conceptual and practical ways of dealing with such concerns. In order to effectively understand and address possible ethical and social issues, stakeholders need to have an understanding of what such issues might be. This article explores ethical issues related to the field of emerging information and communication technologies (ICTs). Based on a foresight study of ICT that led to the identification of eleven emerging technologies, we outline the field of ethical and social issues of these technologies. This overview of possible problems can serve as an important sensitising device to these issues. We describe how such awareness can contribute to the successful deployment of responsible practice in research and innovation. Because of social media’s widespread popularity, it is often used for nefarious purposes that include cyber-bullying, harassment, or stalking. Teens, for example, often use social media to harass, spread rumours, or share unflattering or illegal images of certain individuals. In extreme cases, cyber-bullying and harassment have even resulted in victims taking their own lives. "Julia Farr Association (JFA Purple Orange) recognise "we have to face a variety of risks in everyday life, so a big part of helping people living with disability to live a good life means navigating risk. This paper outlines JFA Purple Orange’s policy position." "JFA Purple Orange is a social policy agency, working to improve the life chances of people living with disability. We are an independent, non-government organisation that fosters innovation, shares useful information, and promotes policy and practice that support and improve the life chances of people living with disability"
The devices we use all day - phones, computers, smart home appliances - store endless data about our lives. What happens to that data? As an acclaimed new book reveals it is being traded for profit in the booming marketplace of predictive behaviour. It's called surveillance capitalism - and it's everywhere. The aim of universalising design is to create a more inclusive world. Universal design is a design concept not a type of product. The principles of universal design can be applied to concrete things like products, buildings and open spaces, as well as intellectual activities such as designing learning programs. It can also be applied to policies and practices. Universal design is also part of conversations about sustainability, resilience, health and wellbeing. How an assisted living facility personalised their residents' doors. Even after decades of improvements, GPS reception is still obstructed without a clear view of the sky. Industry experts predict better indoor coverage, but it has been slow coming. Alternative sources of location information include numerous technologies, but each has its weaknesses. Ultimately, precise location information will use a combination of technologies. We're working with the Blind Foundation and Radiola to introduce a new product which helps people with sight loss to navigate the city and its businesses. Smart Cities are included in this research area because they are the foundation of iICT in the urban area.The development of Smart Cities provide opportunities for the use of iICT that would not otherwise be possible. 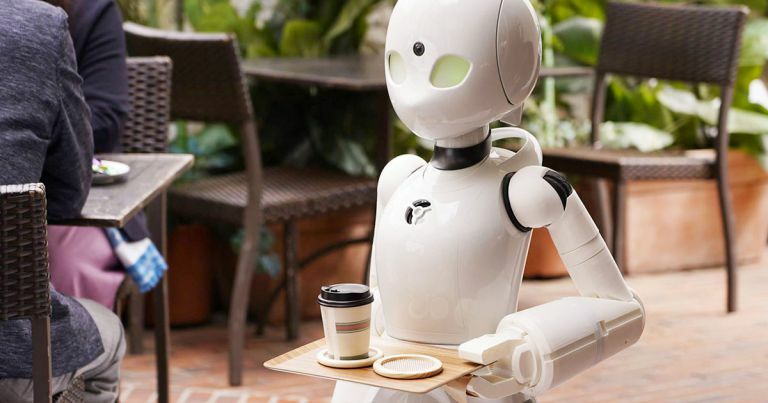 Question: Could robots such as these be "guided" by people with disabilities to provide employment and/or build social skills? The number of people living with dementia and Alzheimer’s Disease is expected to rise to 75.6 million by 2030, and 135.5 million by 2050 (source). Dementia and other similar conditions often cause older adults to become disoriented or lost in both familiar and unfamiliar places. The use of GPS technology like that offered by AngelSense, Pocketfinder, iTraq, Trax, Spy Tec, Yepzon, SPOT, GPS SmartSole, Trackimo and Medical Guardian can bring your ageing loved one safely home and provide greater peace of mind for caregivers and family members. Below is our list of the top 10 GPS products for tracking your ageing loved one’s location based on reviews from several tech industry blogs, customer reviews, and ratings. GPS SmartSole® is a smartphone hidden and sealed in a trim-able shoe insole. It uses GPS and cellular technology, is charged about every day, and requires service plan – all just like your phone. A free app that narrates the world around you. Designed for the low vision community, this research project harnesses the power of AI to describe people, text and objects. Now available in Australia. In this guide, we’ll show you how to leverage chatbots for the incredible tool that they are: Taking on the burden of time-consuming tasks, and allowing you to better serve your customers in ways that matter most."